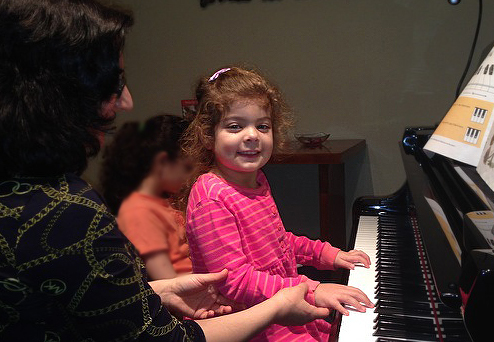 Free 30 min trial piano lessons for children in January! Spaces are limited! Contact for details! 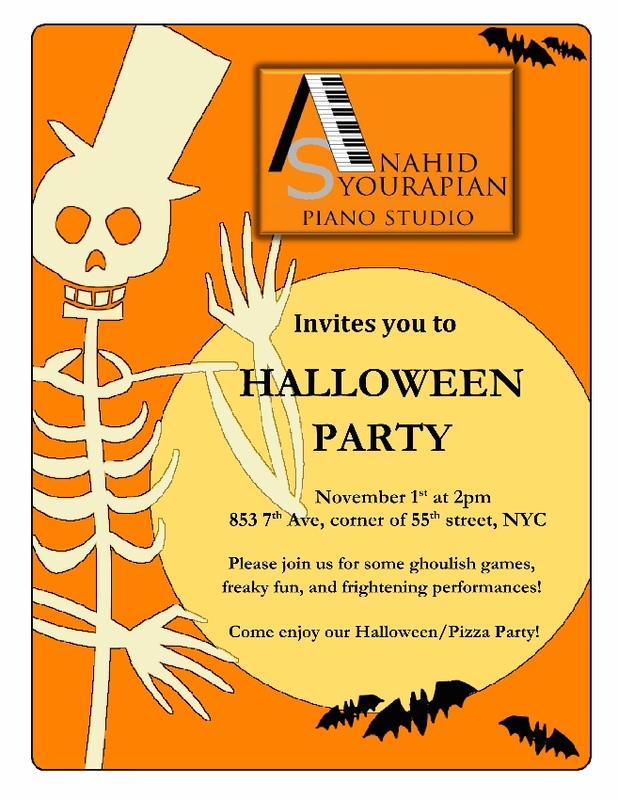 The studio’s Halloween Party is in just few days! Everyone knows it is better to start learning an instrument at a young age, but do you know why? Because, the formative young brain is receptive to new skills, the lessons become imprinted into the brain, making progress quicker and long lasting. Recently it was shown, in several medical studies, that music lessons actually cause the left side of the brain to grow to a larger capacity, which then boosts a child’s verbal skills by 20%. The ideal age to start a young child on his musical journey to playing an instrument is around 5 years old. Younger children can join rhythm/dance play groups but I have found that, 4 y.o for girls and 5 y.o. for boys, works out best. It is the adult’s responsibility to give this gift to a youngster. Honestly, a young child cannot see far enough into the future to know what a talent and skill it is to be able to make music for others. They don’t want to take lessons; they would rather play video games. A parent must make the sacrifice of a modest amount of money and the time to bring the child to his lessons consistently each week. The reward is a skill that will last a lifetime, giving pleasure, gaining social admiration and self confidence! A truly great gift in so many ways!